Country-based and locally-based protected area partnerships are gradually becoming more wide-spread throughout the Pacific Islands. This is partly due to the successful work of the Locally Managed Marine Area Network (LMMA) which now has networks in Fiji, the Solomon Islands, Papua New Guinea, Vanuatu, Palau and Pohnpei. In addition to these arms of the LMMA network, several countries have developed their own community-based organisations to manage other local networks. For example, Palau has its own network of protected areas that includes terrestrial and marine areas and has been established by national law. There are also larger networks such as the French MPA Network and the U.S. system of MPAs that extend into the Pacific Islands. Below you can find descriptions of the key country-based networks and partnerships working specifically on protected areas (including LMMAs). However, there are also a number of other networks and partnerships that provide conservation and technical assistance in various forms. See below for more information on these. This booklet is the collected writings of 30 authors whose first-hand knowledge of American Samoan resources is a distinguishing feature of the articles. Their contributions are greatly appreciated. The American Samoa Environmental Protection Agency is a trusted leader and environmental steward using innovation, quality service and public involvement to ensure a safe and healthy environment for all Samoans. AS-EPA's goal is to protect the environment and public health by ensuring compliance with environmental laws and demonstrating leadership in environmental stewardship. We fulfill our goal by developing, implementing and enforcing environmental laws that regulate air, water and soil quality, pesticide use and waste recycling and reduction. Our departments are at the forefront of environmental science, using the most recent research to shape the territory’s environmental laws. Since 2002, the Helen Reef Resource Management Project in Palau has been active in Locally-Managed Marine Area (LMMA) Network activities. In 2008, the Palau LMMA Network changed its name to the Belau Locally Managed Area Network (BLMA) in order to reflect the terrestrial efforts of its members as well and to use the traditional name. Delivering globally consistent and authoritative information and services that enable Australian governments, industries and communities to predict and respond to weather, climate and ocean variability and change, and extreme events. CSP aims to increase community involvement in the conservation and management of Pohnpei's natural resources; to build local capacity through public and private partnerships; to develop alternatives to unsustainable practices; and to promote law and policies that support these objectives. CSP's vision is to live in a safe and clean environment where cultural pride and natural resources are protected, preserved, and balanced with sustainable development. Their mission is to preserve and enhance the natural heritage of Pohnpei State by promoting community-led resource management and sustainable development. The FLMMA Network was the first country-level network to operate independently of the overall LMMA Network. The FLMMA approach, which works to promote and encourage the preservation, protection and sustainable use of marine resources by the resource owners, has been formally adopted by the Fiji Government. The network has worked to help bring back traditional management practices and the state Government is now in the process of transferring ownership of coastal areas and resources back to traditional land-owning clans. The Agence des Aires Marines Protégées is a public administrative body established in 2006. It is mainly responsible for establishing and managing a network of marine protected areas (MPAs) in French waters. To fulfil this role, the agency has completed a strategic regional analysis to locate and qualify the issues facing the marine environment in various regions. It then proposes the establishment of MPAs and management strategies suited to each marine region. They play a supporting role for local authorities to create protected or managed marine areas in New Caledonia and French Polynesia. KIBCA’S overall objective is to protect Kolombangara Islands’ rich marine and forest biodiversity and to educate, promote and encourage sustainable management of natural resources through viable economic and social ventures for our communities. Superlative natural Phenomena or natural beauty Ongoing Biological and ecological processes Biological Diversity and threatened species. There are six marine clusters at the site which are protected by marine and terrestrial buffer zones that are not part of the World Heritage Site. NRDF is a local organization which was established in 2003 to address the problem of the ongoing exploitation of forests resources by foreign logging companies. NRDF is a Solomon Islands NGO committed to promoting and supporting sustainable natural resource management by local landowners, in turn protecting social, economic and environmental assets. Nguna-Pele marine protected area (MPA) Network is a local, indigenous NGO made up of 16 communities on two islands. The network is dedicated to the sustainable use and long-term existence of marine and terrestrial resources. It is the first of its kind in Vanuatu and currently serves as a model for other island-initiated conservation efforts nationally and throughout the South Pacific. Nguna and Pele's managed reefs, sea grass beds, mangrove forests and intertidal lagoons now exceed 3,000 hectares. The network relies financially on donations from visitors. OEIL respods to numerous questions about the impact of human, industrial and mining activities on the environment. The vision of PICI is to work in the Pacific, alongside the people and communities that have inhabited these remote islands for so long, working to assist in the understanding of the environment, the protection of vulnerable species and the preservation of habitat, so these remote islands can remain a very special place for people and nature. The PICI mission is to develop a society that works in the tropical pacific to preserve species, habitats and communities through the provision of sound science, establishment of programmes and advocating for legislative protection. The Secretariat of the Pacific Regional Environment Programme (SPREP), in partnership with the United Nations Environment Programme (UN Environment) Global Programme of Action for the Protection of the Marine Environment from Land-based Activities (GPA), has prepared this Pacific Marine Litter Action Plan (MLAP). The primary focus of MLAP is marine sourced litter, but it also covers terrestrial based marine litter point sources as outlined in the Cleaner Pacific 2025. The action plan sets out the policy context and key actions to minimise marine litter across the Pacific islands countries and territories. With a vision of "Healthy Ecosystems for a Healthy Palau", the Palau Conservation Society works to empower communities to steward Palau’s environment. The Society's mission is "to work with the community to preserve the nation’s unique natural environment and perpetuate its conservation ethic for the economic and social benefit of present and future generations of Palauans and for the enjoyment and education of all. The Palau Protected Areas Network (PAN) was established by national law in 2003, establishing a framework for a national system of protected areas. State, community, and private protected areas may apply for membership which enables access to technical resources, participation in a national monitoring system, and eligibility for national funding. PAN member sites must have a management plan that meets specific criteria to access PAN funds. In return, states and communities owning PAN member sites agree to effectively conserve the natural resources in the protected areas. The Papua New Guinea LMMA Network was formed in 2002 and launched officially in 2003. Following six years under the support and guidance of the LMMA network with The Nature Conservancy as their partner, PNG created an independent not-for-profit organization to manage the network. In 2009, the PNG Centre for Locally Managed Areas, Inc. (PNGCLMA) was born and operates as an independent arm of the regional LMMA Network. Their mission is to empower local communities to achieve their marine resource management goals by building their capacity in key LMMA management skills, providing a vehicle for sharing their stories and lessons, and supporting the establishment of key partnerships. The Phoenix Islands Protected Area (PIPA) is a Marine Protected Area (MPA) in Kiribati, just five degrees south of the equator. PIPA is the world’s first large, truly deep water MPA. As a vast expanse of largely pristine mid-ocean environments, PIPA is truly an oceanic wilderness. Encompassing 408,250 square kilometers (157,626 square miles) and 11% of Kiribati’s Exclusive Economic Zone (EEZ), PIPA represents one of Earth’s last intact oceanic coral archipelago ecosystems. The Conservation Society of Pohnpei (CSP) joined the LMMA Network in 2002. They designated their first pilot site (Nahtik) in 2003 and since then, LMMA project liaisons have been assisting the community with their conceptual model, monitoring plan, and skills training. Pohnpei’s LMMA Network also works closely with the Pohnpei MPA Network, whose partners include local governments, College of Micronesia-Federated States of Micronesia, Peace Corps, Pohnpei State Marine Resources and Department of Land and Natural Resources. In 2009, the first Pohnpei MPA Network Executive Committee was formed. This eight person committee will monitor network management and seek to increase community partnership. The mission of SICCP to bridge local conservation, sustainable development, and resource management efforts with broader national and international initiatives to ensure financial sustainability and sound stewardship of the rich natural and cultural heritage of the Solomon Islands. This research focuses on coral reef health in the South Pacific region, an area of high global coral diversity. Coral reef health surrounding two study sites in Rarotonga, Cook Islands, has been assessed in areas that have not been previously surveyed. Each study site has distinct differences based upon marine management practices. Marine management practices are identified and described and some historical rea- sons as why they exist are discussed. Data are also presented on the ecological condition (coral coverage, number of coral species, clonal condition, disease, and presence and absence of bioindicators). This interdisciplinary research methodology includes both ecological and social data collection to further understand human– environment interactions. This report updates the 1992 State of Environment report with the latest findings from the Marshall Islands. 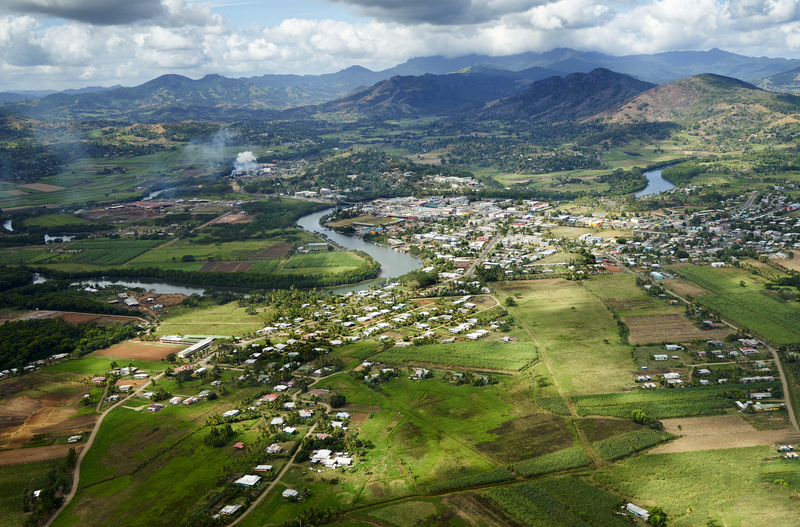 Environmental reporting is defined as a requirement for RMI in the ‘Office of Environmental Planning and Policy Coordination (OEPPC) Act 2003’. The present report results from a concerted effort of all national stakeholders with OEPPC being the lead agency working with the Secretariat of the Pacific Regional Environment Programme (SPREP) in gathering information from national stakeholders to compile this report. I would like to use this opportunity to thank all the parties involved for their commitment and hard work in creating this document and a special komol tata to SPREP for their continued support to the Marshall Islands. Vava'u Environmental Protection Association (VEPA) is dedicated to the conservation of Vava'u's natural beauty through educational awareness, sustainable development and collaboration. Ko e Malu'i pe Tauhi ko ia 'o e 'Atakai 'o Vava'u pe koe VEPA 'oku nau ngaue ki hono tauhi 'o e faka'ofo'ofa mo e ma'a 'o Vava'u 'i he fakahoko 'o e ngaahi ako ki he ngaahi founga hono tokanga'i, feinga ke fakalakalaka, pea mo e fengaue'aki fakataha foki 'a e ngaahi kautaha kotoa pe ki he ngaahi ngaue 'oku fiema'u ke fakahoko. The National Marine Protected Area Center was established in 2000 to lead the development of a national system of marine protected areas in the USA, as called for in Executive Order 13158. The MPA Center is a partnership between NOAA and the Department of the Interior to serve as a resource to all federal, state, territorial and tribal programs responsible for the health of the nation's oceans, and is located within NOAA's Office of National Marine Sanctuaries. The U.S. Coast Guard carries out missions to enforce marine protected areas, laws against marine pollution, exclusive economic zones (EEZ; largest EEZ in the world), and to protect marine species. The United States manages marine reserves as large or larger than those of other nations, including Pacific Island countries and territories. What can we learn from them? Marine Protected Areas are increasing in the Pacific. What resources are required to patrol such vast areas?